Much of the testing and evaluation work in the 1990s concerned support to operations, initially the first Gulf War 1 and subsequently other operations such as those in the Balkans. The 90’s also saw the disappearance of the site title ‘Aeroplane and Armament Experimental Establishment’ due to reorganisations within the Ministry of Defence. Boscombe Down re-emerged as the Defence Evaluation and Test Organisation Boscombe Down and subsequently the Defence Evaluation and Research Agency (DERA) Boscombe Down. These changes also gave rise to the last major building activity on side when new facilities in the form of an operations block, an office and laboratory building plus a large new hanger were constructed to house the experimental flight operations that relocated to Boscombe Down from RAE Bedford and RAE Farnborough in 1994. The new operations building was the last to be finished and for a time the old USAF hardened operations buildings were used to house the DRA Experimental Flying Squadron. A new fire station was also built on the north side of the runway. Part of the Weighbridge Hangar was also now in use to accommodate the Southampton University Air Squadron and No 2 Air Experience Flight. With the arrival of the aircraft from Farnborough and Bedford experimental and research flying was now conducted alongside the more traditional testing. Notable programmes with modified aircraft included helicopter degraded visibility systems, Forward Looking Infra-Red technology and advanced Air Traffic Management concepts. With the need to house the USAF gone many of the HAS structures were adapted to new specialist uses such as the Night Vision Test House and the Anechoic Test Facility. Some of the taxiways were also used to practice Harrier short take offs. 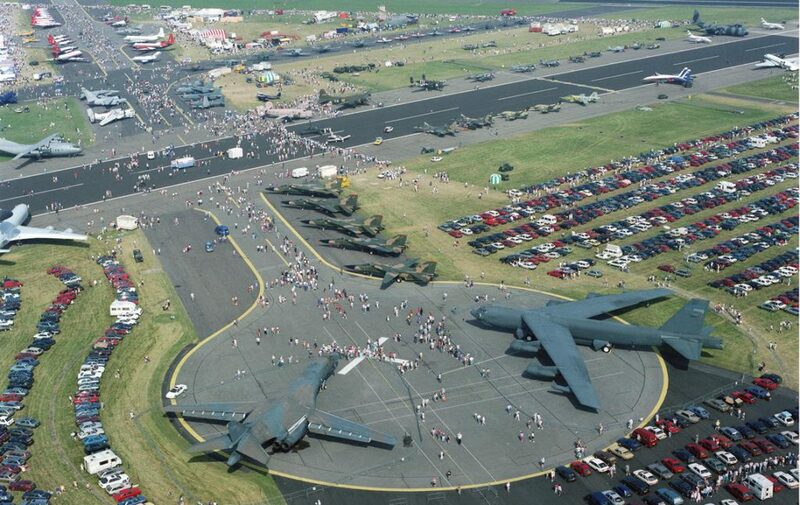 The airfield hosted some airshows in the 90’s notably the 50th Battle of Britain Anniversary in 1990 and the Air Tournament International in June 1992. These events brought large numbers of aircraft from around the world to the site. Related to the 50th Battle of Britain Anniversary a memorial stone which stands by the old control tower was unveiled in August 1990 on the anniversary of the events that resulted in Flt Lt Nicolson’s VC. For a range of reasons Boscombe Down has moved in recent years from being a location for maiden flights to a location for last flights and a number of significant aircraft types have made their last flight from the airfield. Of note in 1997, the last flight of the Comet which had been a long term part of the Boscombe air fleet occurred. The Comet was a British airliner design that had led the world in the 1950s. Whilst civil aircraft have not used the airfield on a regular basis with the exception of some testing in the 1950s, 1998 saw the first use of the airfield for a Concorde charter flight by a local travel agent; the runway length being able to support a fully fuelled take-off. Check in was ironically done at the High Post Inn on the site of the old airfield with passengers then bused to Boscombe Down. After this successful venture a further Concorde flight was arranged for the following year. The 2000’s began with a further MOD reorganisation which resulted in the establishment of QinetiQ as a commercial company from part of the old DERA, who took on the operation of Boscombe Down alongside the Air Warfare Centre forming the Air Test & Evaluation Centre (ATEC). This arrangement was formalised in 2003 with the formation of the Long Term Partnering Agreement between the MOD and QinetiQ. Test and Evaluation work continued with more new aircraft entering service notably the Merlin helicopter and the Typhoon who made use of the test facilities including the 1940’s Blower tunnel and once again there was a significant influence on activities in the form of new operational demands. Of note was the need to increase the size and capabilities of the UK helicopter fleet. 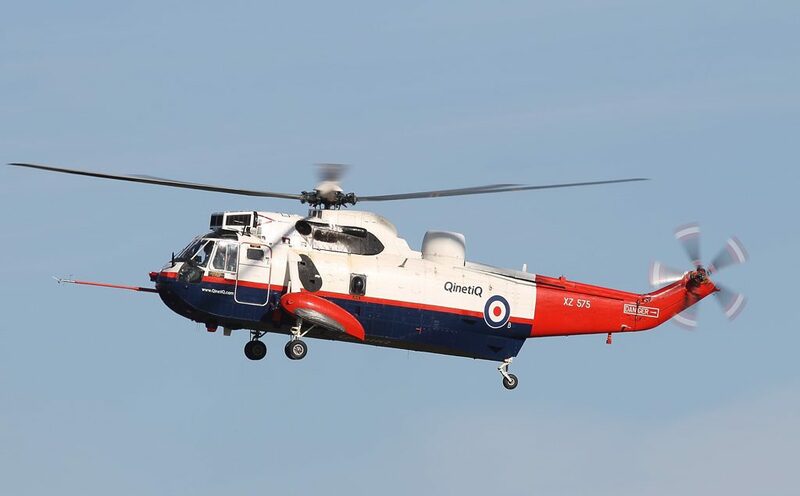 In this context the Apache arrived and a major programme of work was undertaken to modify the Sea King Mk4 with new rotor blades which subsequently featured on the local TV news. A wide range of experimental and development flying continued, in particular further trials with the fly by wire VAAC Harrier (which had been at DRA Bedford) were completed that included precision hovering alongside a board fixed to a crane and automatic landings. The results from this work helped develop the flight control laws for the F-35 Joint Strike Fighter. A number of operational changes also took place with both the SAOEU and the Fast Jet Test Squadron departing to Coningsby and the arrival the Joint Aircraft Recovery and Transport Squadron (JARTS) who occupied the 70 year old High Post Hangars after further refurbishment. Additional refurbishment was also done of some MT facilities that enabled a flight simulator for ETPS to be installed and commissioned.